It has been a tradition of me and my mom to watch movies every Monday because that’s when senior citizens can see a movie for free. Mom likes watching Filipino movies. 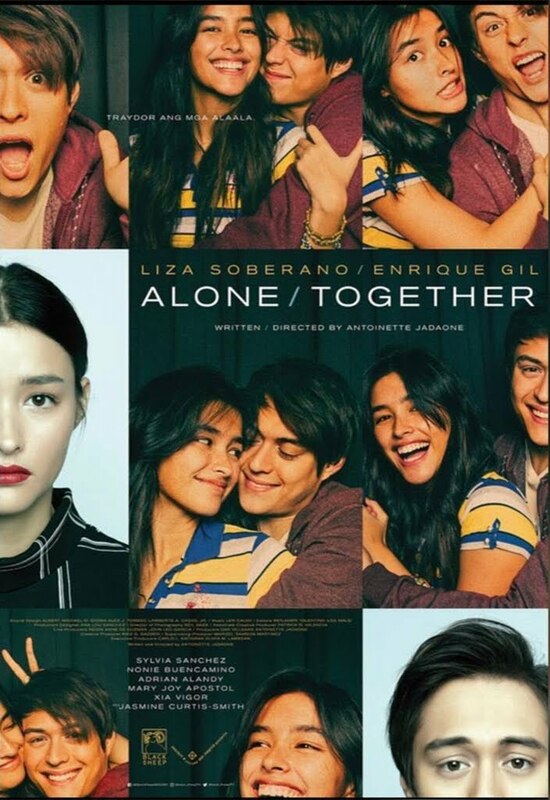 For this week, showing in cinemas is Alone / Together featuring Liza Soberano (Christine) and Enrique Gil (Rafael), and that’s what we saw today. The movie is about this complicated relationship between two college students, wherein both have to work their priorities between dreams and the love they have for each other. It’s a feel-good movie, no stressful third party whatsoever. Their worst enemy however are themselves and I believe that’s the most difficult part that they have to go through. There are several things that stuck with me in this movie. In the 120 minutes run time, I escaped my reality and got sucked into their world of love, dreams, and adventure. I studied in UP Diliman. Several years after graduating, I still couldn’t believe that I was able to be admitted in one of the top universities in the country. As the movie panned on sceneries of the AS lobby, the school halls, and the Sunken Garden, I can’t help but feel this indescribable longing to go back. I miss the huge acacia trees, those walks in the acad oval, and especially the nights I spent stargazing with UP AstroSoc. There were also some scenes that were shot at Chocolate Kiss, that infamous restaurant at the Bahay ng Alumni, of which until now I haven’t dined in. It was common knowledge among students that the cakes were great there, but expensive at the same time. I never set foot there because I knew it was beyond my student budget. 😅 And hey it was also nice to see “Zorro”, that jogger around campus wearing a mask and cape, still running around doing high-fives with random joggers around. I felt very much for Christine during her New York explorations. I enjoy doing side trips when business traveling. It’s been a while since I did one (ehem hello bosses!). I love going to new places and exploring new things with my colleagues. My best memories would always be that California trip with Krishan. 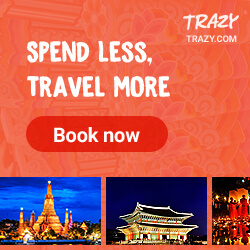 He’s the best travel buddy ever! Raf indeed became a doctor. However he didn’t choose to work in some modern hospital in the city. Instead, he chose to be charitable and served the poor who needed more health care, even going to more remote areas and working to build hospitals there. As for Christine, she still pursued her passion for the Arts and I could just feel how fulfilling it was for her to finally walk the right path to achieve her museum curator dreams. I hope this film promotes this kind of path. I might not be speaking for myself (I studied Computer Science because I love working on logic and solving puzzles, not because I knew the industry would boom in the future), but for current and future Arts students. It’s not an easy path (I think). It’s easy to just be content and become corporate slaves (😅), but if it’s their passion to be in the Arts field, I hope they truly pursue it. I also liked that the movie featured museums, especially the Spoliarium masterpiece. I hope because of this film, more people would have interest in visiting our local museums like the National Museum. I love all the scenes with the professor. I super liked his character. It made me remember those passionate professors back in college. I also liked his lines talking to Christine: ‘Iskolar ka ng bayan, pera ng bayan nagpaaral sayo tapos maga-abroad ka?‘ This statement cuts deep through my soul and fills me with guilt whenever I think of pursuing a career abroad. For my case, I’m not just a UP scholar, I also enjoyed the benefits of being a DOST scholar. I earned my college education totally free, even got monthly stipends on top of it. Even though our tuition fee back then was just around 8,000PHP, my family wouldn’t be able to afford it. That’s why I am forever indebted to the Filipino taxpayers. 😭 This movie brought back memories of my college life and how I studied very hard (blood and tears were shed) to be able to graduate on time. A graduation with rallies is a standard in UP. This is the time most of the government officers are on stage, and so is the perfect moment for ‘tibak’ students to raise their concerns, shouting their cries and raising placards bearing words of protests at their faces. During my stay in UPD, I’ve only been in one rally, and it’s for a cause I truly wanted to fight for (TOFI in 2007). I remember our crowd went around the AS halls and asked the students (yes in the middle of classes) to come out and join us. Our crowd went as far as Mendiola. After doing a program (there were some police nearby 😨), we dispersed peacefully and went back to campus.